There’s more to route planning than just figuring out which roads your drivers must take to reach your customers. You also need to account for traffic, weather, construction, customer availability, and other factors. If you have dozens of customers and multiple drivers, that process can take hours. 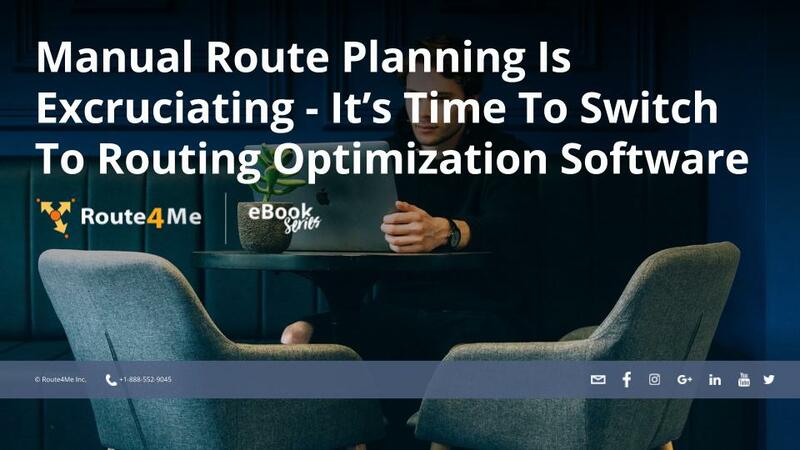 Here, we’ll show how a routing optimization software helps you plan fast. It’d be one thing if spending hours manually planning routes actually guaranteed good results. But that’s just not the case. Route planning is so complicated that you’ll probably make a few mistakes when you try to do it by yourself. All it takes is one mistake to completely mess up a route. Inaccurate/inefficient routes will delay your drivers and upset your customers. Routing optimization software will make your routes more efficient. More efficient routes means your drivers will be able to visit more customers without having to rush to do so. You can expand your business without taking on the expense of hiring new employees. You can have your cake and eat it too. Of course, optimized routes won’t do you any good if your drivers don’t actually follow the routes you give them. That’s why you must make sure the route planner you invest in has a GPS tracking feature. With GPS tracking, you can see where your drivers are in real-time. Whenever you want, you can check in on a driver to confirm that they’re sticking to their route and staying on schedule.